The following is a recollection made by Liz Gilbert, author of Eat, Pray, Love. I can deeply relate to her story, so I want to save it and share it here. And like Liz, I want to go back there. 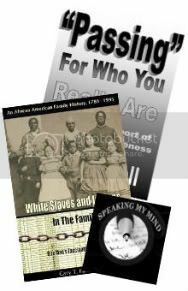 My, my and all the fuss from a few family site members about my racial topics back in the day. Well kiddos, that's all anyone is talking about now, even making money off of the topic. Check out multiracial Beth Gray's rant below. A rant that I can totally understand, because it makes sense. Enjoy! The Critical Theoretic of the Latin American. 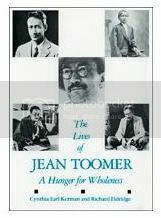 "The Lives of Jean Toomer: A Hunger for Wholeness"
Mom's Festive Recipe For Sauerkraut & Pork & Then Some! Seriously, this is good!!! It's not just a recipe.